The Russian-government owned geological company, Rosgeo, has landed a 400-million USD deal to develop oil and gas blocks off the Cape south coast. By JESSICA BEZUIDENHOUT. The deal, announced by PetroSA on Monday, was signed on the sidelines of the BRICS Summit – which is also being attended by President Jacob Zuma – in Xiamen, China. The project envisages extraction of up to 4 million cubic metres of gas daily and would eventually be delivered to the Mossgas refinery. A statement released by PetroSA stated that the deal was signed by Rosgeo CEO, Roman Panov, and Luvo Makasi, chairman of South Africa’s Central Energy Fund (CEF). 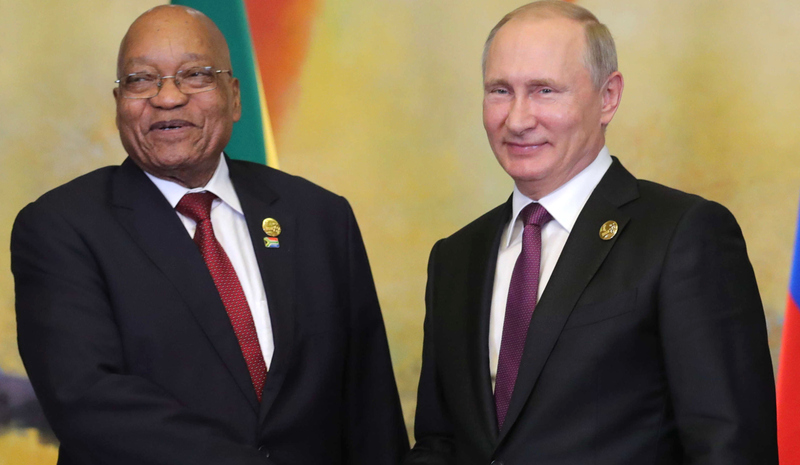 The deal will see the Russian company invest about R5-billion for the development and exploration of Block 9 and 11a of the South Coast of South Africa. “Within the framework of the agreement, Rosgeo is supposed to conduct a considerable volume of geological exploration work. This includes carrying out more than 4000 square km of 3D seismic operations and over 13 000 km of gravity-magnetic exploration works,” according to a statement released by PetroSA. Several years in the making, the deal recently sparked controversy when claims of political meddling emerged through court proceedings. Daily Maverick previously reported on claims by two former PetroSA board members that their removal from the board was allegedly due to a tussle about this lucrative deal.